The Sheriff’s Department stood by their decision, however, essentially saying that the teachers were shot with the air pistols because they didn’t act quickly enough, like a dog being smacked with a newspaper. 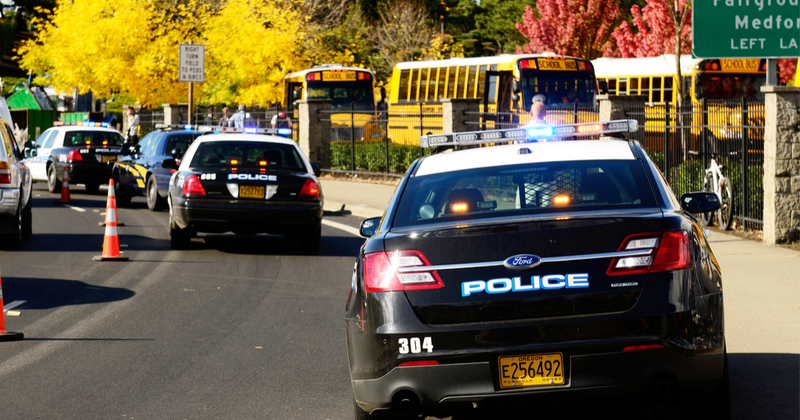 The idea that we, as Americans, must participate in “active shooter” drills is spooky enough, but one law enforcement agency is taking things too far…and teachers are speaking out. The horror and confusion of an active shooter situation is unfathomable for many of us. Suddenly, at work or school or the subway, the deafening report of gunfire would be instantaneously confusing and oppressive. Our fight or flight instincts would kick in, sending us to the floor with the possibility of altered auditory senses. From there, the terror truly begins as we play out any number of scenarios in our heads. These instances are terrifying and harrowing in ways that only those who have lived through them can understand. Active shooter drills, on the other hand, are meant to be learning experiences. Sure, some urgency is needed to provide us the opportunity necessary to develop the muscle memory desired, but do we really have to shoot teachers with pellet guns in order to get the point across? That’s what one group of educators is pondering today. The drill was conducted by the White County Sheriff’s Department, which defended the methods it used. White County Sheriff Bill Brooks said participation was voluntary, and teachers were shown beforehand what the drill would entail. Of course, an armed teacher would have had no issue dispelling their attackers, real or imaginary.